Don't miss this three time Grammy nominee! 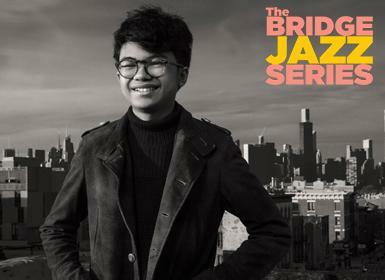 Born June 25, 2003 on the island of Bali, pianist Joey Alexander originally learned about jazz from his father, who introduced his son to a variety of classic jazz, gospel, classical, rock, and pop albums. Joey’s dad nurtured his gift of swing and improvisation by taking him to jam sessions with professional musicians in Bali, Jakarta, and Odessa, Ukraine. His musicianship and grasp of jazz fundamentals developed at a remarkable pace, and at age eight UNESCO invited him to play solo piano for an elated Herbie Hancock during the piano great’s visit to Indonesia. By 10, he was performing at jazz festivals in both Jakarta and Copenhagen. An invitation from Wynton Marsalis led to his U.S. debut appearance at Jazz at Lincoln Center’s Rose Hall in 2014, where he amazed the audience with his musicality. This was followed by appearances before the Jazz Foundation of America at the Apollo and the Arthur Ashe Learning Center at Gotham Hall. Realizing God’s gift to Joey and wishing to encourage its continued development, the family relocated to the United States. In 2015 received an invitation from impresario George Wein to perform on two stages at the prestigious Newport Jazz Festival. Joey took full advantage of the opportunity and brought audiences to their feet with his playful musicality and keen sense of swing. Joey performed twice at the 2016 GRAMMY Awards, including a solo performance of his original tune City Lights during the live broadcast, collaborated with Esperanza Spaulding and Wayne Shorter at the White House for International Jazz Day, performed and recorded My Favorite Thingswith singer Kelsea Ballerini for the CMA Country Christmas broadcast, and has been featured in numerous programs with Jazz at Lincoln Center in New York. Over the past four years Joey has been paying his dues and honing his craft: learning what it means to be a bandleader, keeping material fresh after repeated performances, and seeking out sidemen who are also collaborators. Along the way, The Joey Alexander Trio has performed at well-known venues and major festivals across the United States and around the globe. At the age of 15, Joey has already recorded two GRAMMY-nominated studio albums, 2015’s My Favorite Things and 2016’s Countdown, as well as Joey.Monk.Live!, a critically acclaimed surprise release from late 2017 to honor Thelonious Monk’s centennial.His third studio effort Eclipse features the pianist with a stellar rhythm section including bassist Reuben Rogers and drummer Eric Harland, and guest appearances by saxophonist Joshua Redman on three tracks. Eclipse, recorded over a three-day period beginning on the day of the solar eclipse of 2017, features the pianist with a stellar rhythm section of bassist Reuben Rogers and drummer Eric Harland, and guest appearances by saxophonist Joshua Redman on three tracks. The programranges from jazz classics penned by John Coltrane and Bill Evans, to the Beatles’ hit “Blackbird”, and a reverent gospel reimagining of the 1875 hymn “Draw Me Nearer.” Most importantly though, Eclipse showcases Alexander’s significant progress as an astute composer, writing six of the eleven tunes. With the release of Eclipse, Joey Alexander has created an ever more personal and powerful statement of his musical and artistic vision. His work continues to draw from his inspirations of the past, as well as his faith, bandmates, and the people, places and events he encounters, all while putting his own progressive stamp on the music by constantly exploring, both on stage and in the studio.